​JEF regularly offers funding for various types of grant proposals that ideally demonstrate creativity and innovation in education, target a significant number of Jamestown youth, and can be sustained after the funding period is completed. 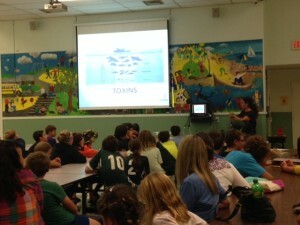 Grants from JEF are not intended to fund programs that are included as part of the school budget or provide retroactive funding for an existing project. Anyone can apply for a JEF grant by simply going to the applicable application. 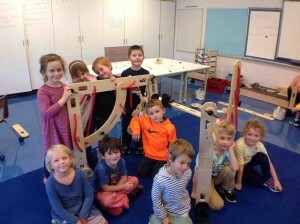 ​Annual Enrichment Grants are awarded each spring to educators and community members who apply for funding to support programs that demonstrate creativity and innovation in education. 2017 Annual Enrichment Grant applications are open. All applications are due by 5:00 on Friday, May 3rd, 2019. Recipients will be announced Friday, June 14th, 2019. Please click here to download the application. 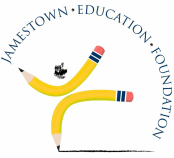 Faculty and administrators of Jamestown Schools, parents, students and community members may apply for funding in support of enrichment projects that benefit Jamestown youth. Applications may be made by individuals or by groups.